A Stone Mountain man was arrested Tuesday for an armed robbery that happened at a gas station in Fort Valley. According to the Fort Valley Department of Public Safety, 25-year-old Larry Little, Jr. was arrested at a home on State University Drive without incident. It happened at Flash Foods Five Points on Blue Bird Boulevard around 11:15 p.m. in January. 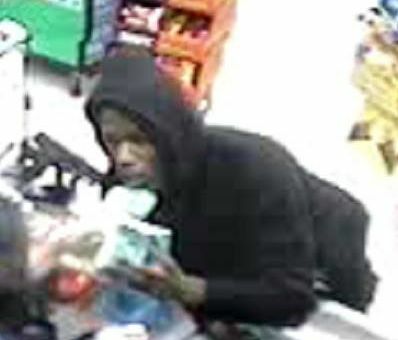 The store clerk told deputies two men came into the store and demanded money at gunpoint. After getting an undisclosed amount of money and cigarettes, the two men fled on foot. The Middle Georgia Fugitive Task Force, the Peach County Drugs Enforcement Unit and the Fort Valley State Campus Police Department all assisted in the arrest. The second suspect has not been identified. Anyone with any information on the robbery or second suspect's identity can call Public Safety's Criminal Investigation Division at 478-825-3383 or Macon Regional Crimestoppers at 1-877-68-CRIME.